“Warren missed her moment in 2016, and there’s reason to be skeptical of her prospective candidacy in 2020,” the editorial board wrote Thursday. The board’s comments are also a bit different than the ones it made in 2015, in which it encouraged Warren to run for president in the Democratic primary against Hillary Clinton. The hostile reactions as well as harsh jokes Warren received after she released the results of her DNA test in an effort to prove her Native American heritage bubbled up again Thursday after a New York Times report revealed that her advisers are concerned she damaged her relationship with Native American groups and other minorities. On top of the bad publicity Warren has received in recent months, the editorial board Thursday said her underwhelming re-election in November is another hint her popularity is suffering. “While Warren won reelection, her margin of victory in November suggests there’s a ceiling on her popularity; Republican governor Charlie Baker garnered more votes than her in a state that is supposed to be a Democratic haven,” the board wrote. A September poll revealed Massachusetts voters are more enthusiastic about former Democratic Gov. Deval Patrick running for president than Warren. “Those are warning signs from the voters who know her best. 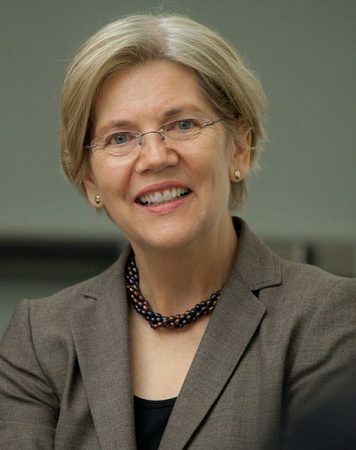 While Warren is an effective and impactful senator with an important voice nationally, she has become a divisive figure,” the board’s post continued. A Nov. 9 analysis by The Washington Post ranked Warren at the top of a list of 15 potential Democratic presidential nominees, even though it too acknowledged the release of the DNA test results didn’t go as planned. Oh my gosh, if this person is this naive about her own heritage, she is not fit to run this country. But let her run and burn out, it is up to her. But in the meantime, why hasn’t she been charged for misrepresenting herself to get into college and for minority positions? Socialist ( independent ) DemocRAT on stage during the debates !! It should be fun to watch, I wonder what cream will rise to the top of that circus act !! Her momma told her she ha high cheekbones so she must be a Cherokee,”Errh”,looser and now too in a marxist based party,”Errh” looser. Can every one say Looser.